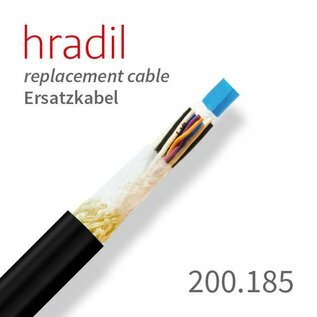 Hradil hybrid cable suitable for milling robots, spatula robots and the formwork system from KA-TE. It is usually used in lengths in between 85m and 130m. Hradil hybrid cable suitable for milling robots, spatula robots and the formwork system from KA-TE. It is usually used in lengths in between 85m and 130m. The Hradil robot cable is designed for high mechanical loads and long life.